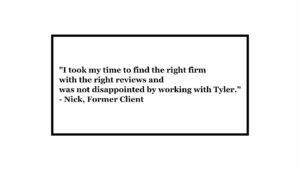 Being gun-shy of lawyers to begin with from past bad experiences, I took my time to find the right firm with the right reviews and was not disappointed by working with Tyler. Our process was concise and efficient and both my wife and I were made comfortable yet aware of our situation as we worked together for a resolution that favored beneficially for us at the end of our experience. Our process was concise and efficient and both my wife and I were made comfortable yet aware of our situation. 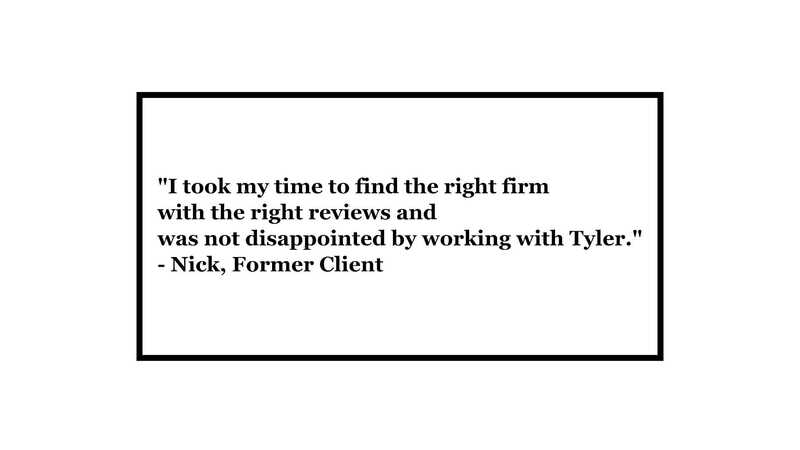 I turned right back around and employed Tyler and his team for yet more of my legal needs and was given exactly what I hoped for once again. If you are in our area and need a great guy, you found him look no further. For this and other reviews, please click or tap here.